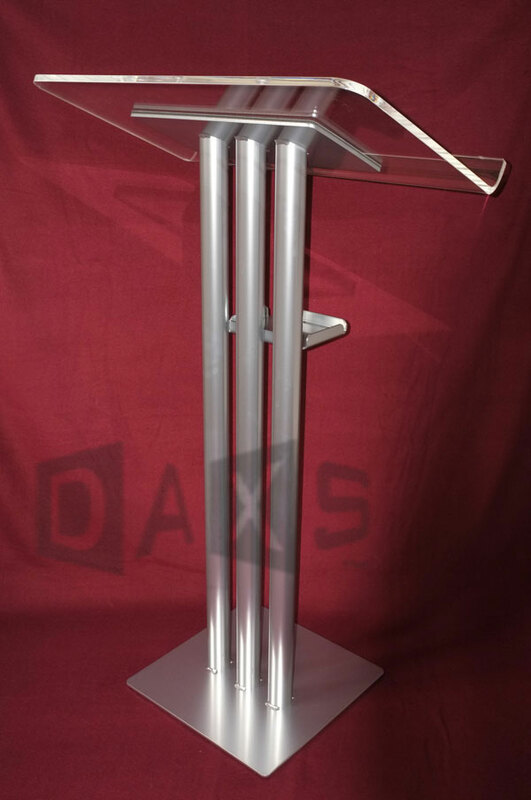 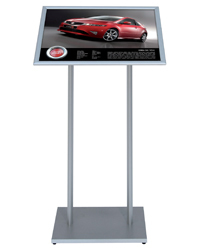 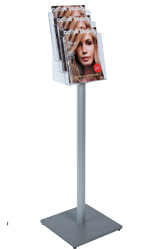 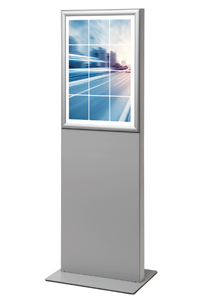 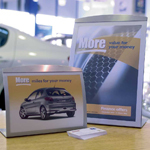 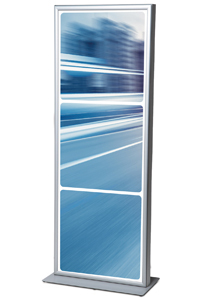 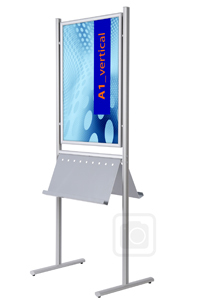 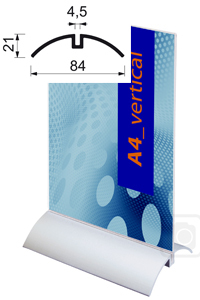 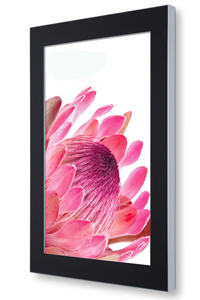 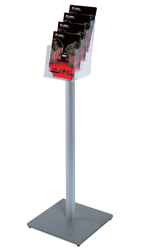 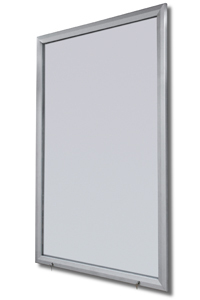 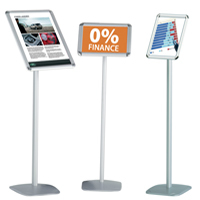 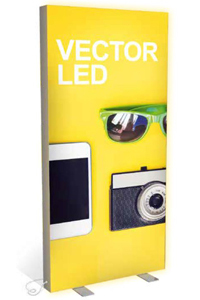 This elegant D3 Display can combine the display of A4, A3 or A2 posters (held between thin magnetic acrylic) with brochure holders or a product display shelf - ideal for receptions, retail applications and exhibitions. 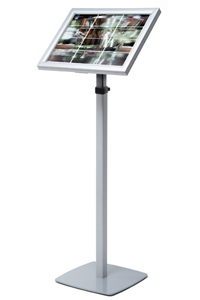 The lightweight high quality components are quickly assembled and reconfigured as required. 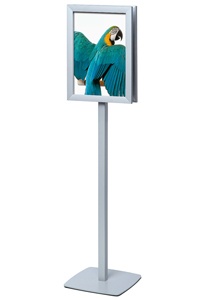 Click to see frame detail. 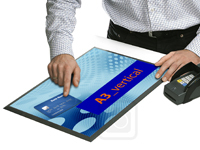 Click to see stand with top-card. 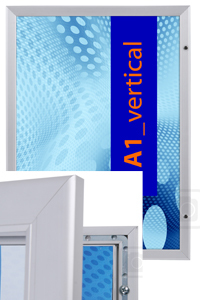 Click to see poster frame. 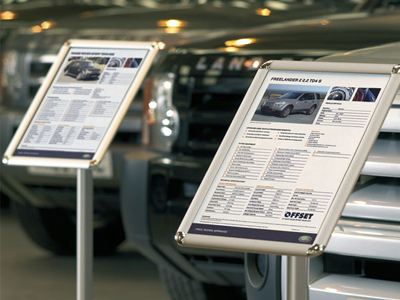 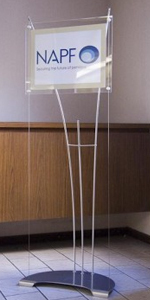 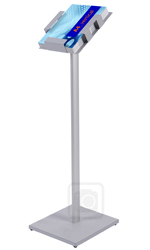 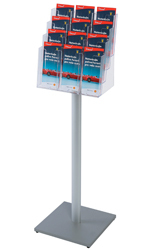 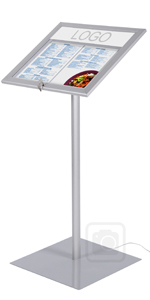 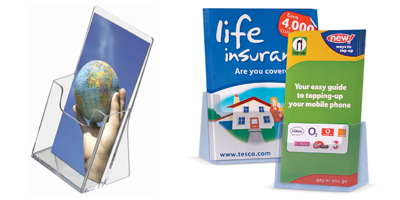 For clear polystyrene brochure holders click here. 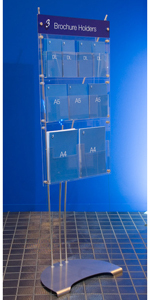 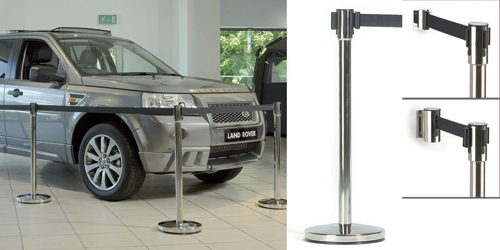 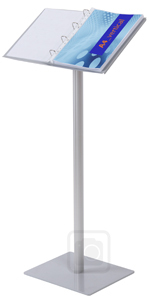 Pemium quality retractable tape system for 'Q' management and separating off public areas. 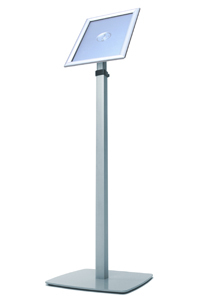 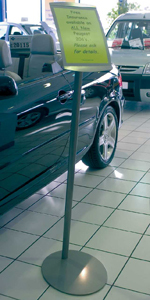 Features 1000mm high chromed post and heavy duty anti slip base with 4-way connectivity and 2000mm black webbing tape per cartridge.